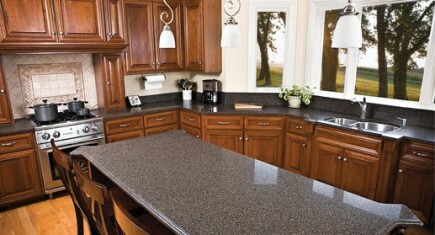 Although our natural stones are quite beautiful we also are delighted to offer the Samsung Radianz™ Quartz range. This recent addition to the Samsung range now offers a fantastic arra of colors, including their highly desirable Noble range, with jumbo slabs as a standard size, giving your designs more latitude, at very reasonable prices. Radianz™ surfaces are comprised of advanced polymer resins and color pigments which are then fused together with 93% quartz, one of the toughest minerals in nature. Radianz™ Quartz also comes with a 15-year warranty for residential applications and 10-year warranty for commercial applications.